Now, this is something we can all celebrate. Whether you get to enjoy this perk as a local 365 days a year, or simply on your vacation to Oregon, spending less is always a win! Besides the city of Ashland, which has its own “meals tax” at all restaurants, Oregon is a great place to shop and dine without having to pay the tax man with every transaction. Unfortunately for the locals, they have to compensate for the lack of sales tax with higher income taxes. But, if you’re just passing through, you can save a lot of money by preparing a shopping list for while you’re in Oregon and bringing along an extra duffel bag to carry your hoard back home. For some, this can be a bit unsettling at first. You may think, “why are all of these strangers going out of there way to smile and greet me?”. But, once you get past the novelty of this simple common courtesy you’ll start to enjoy it. People in Oregon are often happily going about their day and love to smile. Maybe it’s the pure tap water or the fresh mountain air, but whatever is making these people so happy, we’re okay with it. Though it may seem uncommon in this digital age of smart devices and overall disconnect, people in Oregon generally opt for enjoying the moment and will strike up conversations with strangers they meet. While you’re in Oregon, why not give it a try yourself? Now wherever we travel, we try to consciously smile and say hello to people that we encounter throughout the day. The result: a greater sense of wellbeing, a more positive outlook on life, and we seem to be making more friends in the process. Win-Win-Win! Though Oregon is a land of immense beauty and wonder, there is one downside… the rain. Besides the deserts east of the Cascades, it rains in Oregon in the Spring, Winter, and Fall. In the summertime, rain is pretty slim, but you will definitely experience an occasional summer storm (typically accompanied by spectacular thunderstorms). Strange fact: you might notice (and find strange) that many Oregonians don’t carry an umbrella (it's kind of taboo). That said, feel free to bring one if you like being on the drier side. No seriously, Oregon has some of the best beer, wine, and bud in the world. It’s in the climate, or so they say. But, whatever it is we aren’t complaining. Oregon has close to 250 breweries, 725 wineries, and a new pot shop popping up on the corner every week (or so it seems). Besides the abundance, the quality of these adult indulgences is incredible. The Willamette Valley in Oregon is recognized as having fertile soil, moderate climate, and plentiful rainfall, all of which create ideal conditions for high-quality hop, grape, and marijuana production. 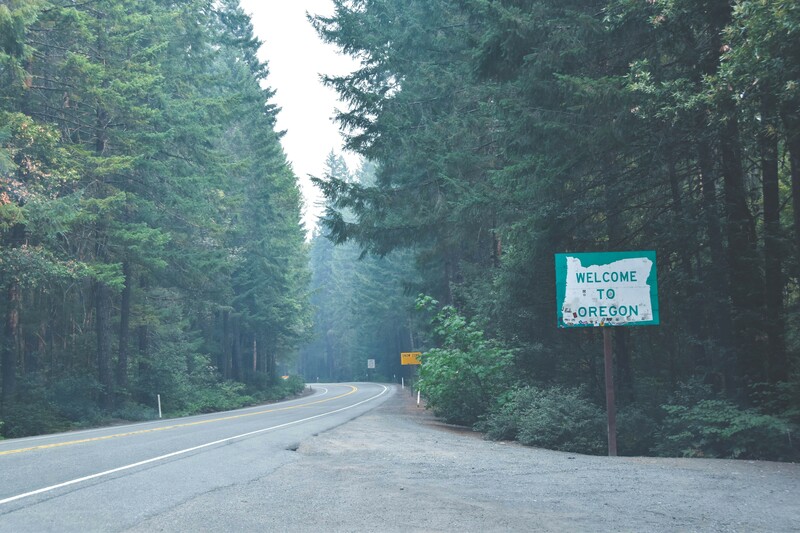 For a true taste of what Oregon has to offer, we recommend taking a road trip stopping in Ashland, Bend, Eugene, and Portland along the way! And speaking of road trips, in Oregon you don’t even have to get out of your car to pump your gas. Simply pull up to the pumps and someone will come along to handle it for you, free of charge. Tips are not expected, but we typically like to tip our gas attendant if they clean our windows and are friendly. One thing to note is that it is actually illegal to try to pump your own gas, so patience is an important virtue when you pull up to a busy gas station. There are a few exceptions to this rule. In some rural areas, you will find gas stations that do not have attendants. If you come across one of these, it is legal to pump your own gas. Have any other fun tidbits to share about Oregon? Let us know on our Facebook Page!